Big Block Chevy Multi-Port Power Pack Kit for Standard Deck, Rectangular Port heads: includes Holley EFI single plane intake 3000-8000 RPM Power Band and 2000cfm Throttle Body New Holley Big Block Chevy Multi-Port Power Pack kits are partially assembled and do not include an ECU, harness, fuel pump, injectors or sensor connectors. These kits are intended to be used in conjunction with a Holley HP or Dominator ECU. 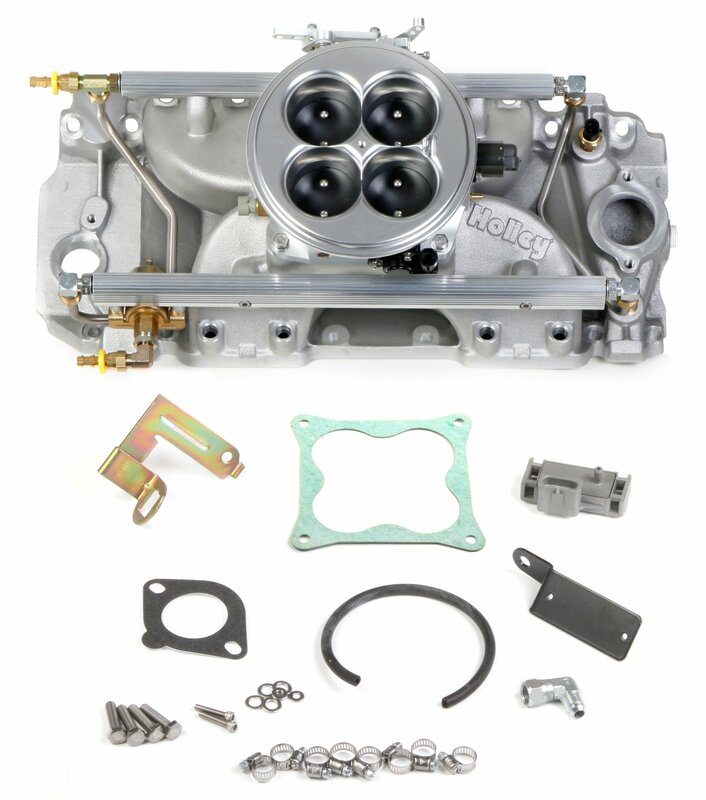 Holley EFI Power Pack kits can also be used with any aftermarket speed-density type ECU's that are designed for use with a multi-point system.